In this recipe lentils soften because they cook quickly than brown rice but lentils retain its shape. The proportion of lentils and rice can be altered as per taste. This dish is ‘spiced’ not spices, cinnamon, cloves and cumin give it a warm rich flavour but no heat. Both brown rice and oatmeal are whole-grain foods that make up part of a healthy diet. They’re unrefined, meaning the fiber and nutrients haven’t been stripped away through processing. They also supply you with essential vitamins and minerals, such as B vitamins and Iron. Pressure cook Brown ice, Toor dal, Peanuts and vegetables (carrot, beans, cauliflower florets) with enough amount of water for 3 whistles. Meanwhile in a pan dry roast oats and set aside (This step makes oats slightly non-sticky). In a big pan heat oil/ ghee then add mustard seeds and when it splutters add curry leaves, Asafoetida, Clove, Cinnamon & Red chilli; Fry them. Then add tamarind pulp, bisi bele bath masala, red chilli powder & salt; Mix and add 2-3 cups of water and bring it to boil. As the water boils add oats and stir. Then add cooked toor dal, brown rice, peanuts and vegetables; Allow it to cook until it blends well. Adjust the consistency by adding water if required. 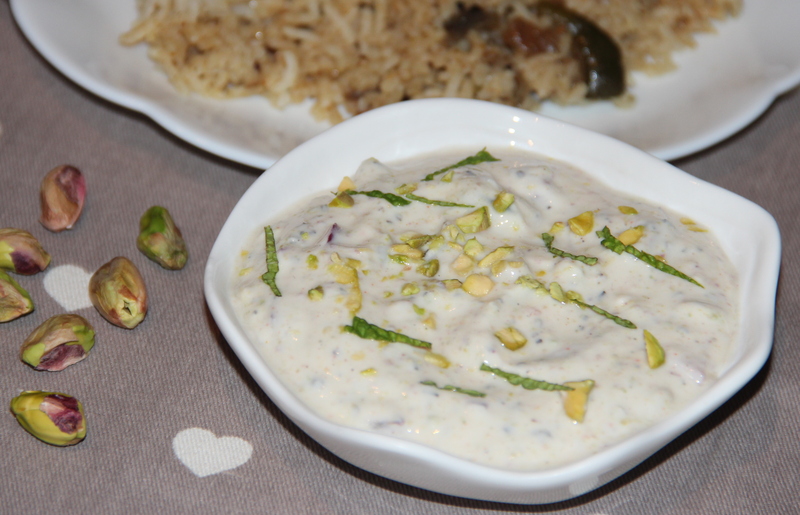 Serve hot with Pistachio and Mint raita. 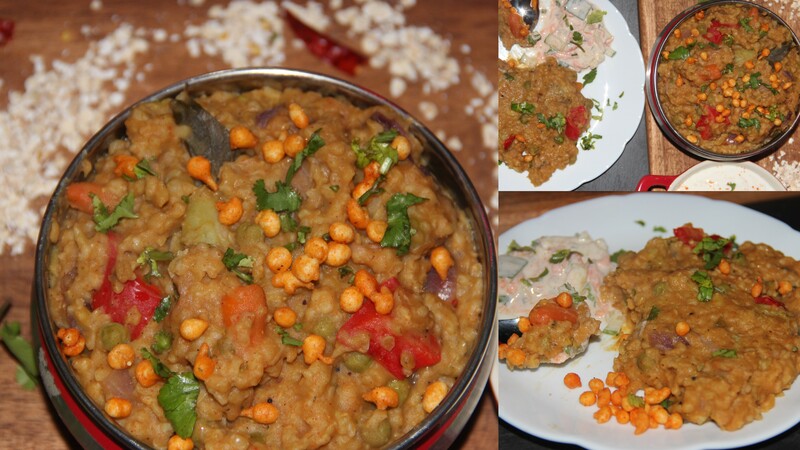 Posted on February 23, 2015, in Indian, Main dish and tagged Bisibele bath, drchdietfood, Healthy lentil rice, indianrecipe, Lentil rice, vegetarian recipe. Bookmark the permalink. 14 Comments. Looks absolutely yum!!! Never thought Oats with bisibele bath….Gotta try it soon…. Looks delicious, Chitra! So creamy and flavorful. Thank you for sharing your recipe and how to do it.